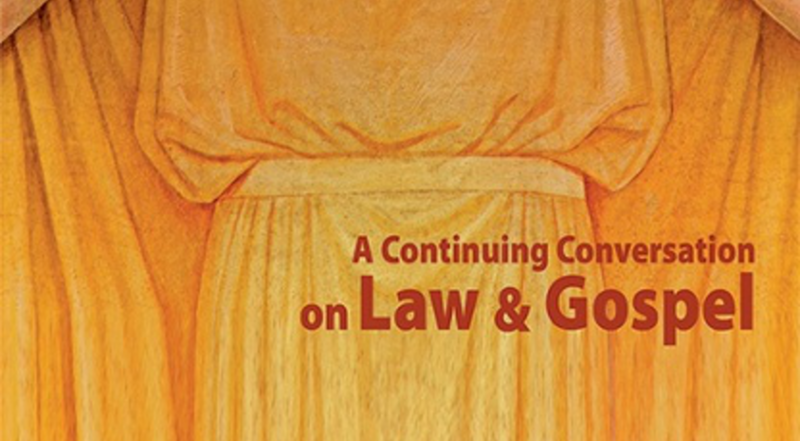 When representatives of the North American Lutheran Church and The Lutheran Church-Missouri Synod started meeting together over five years ago, it was decided that the group would sponsor a book of essays on the proper distinction of God’s Law from His Gospel. That book is now available from Concordia Publishing House. 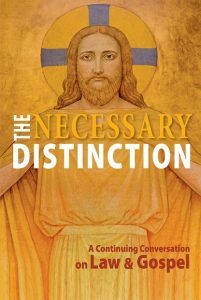 Edited by Dr. Albert Collver III (LCMS), Dr. James Arne Nestingen (NALC), and Prof. John T. Pless (LCMS), The Necessary Distinction: A Continuing Conversation on Law & Gospel contains thirteen essays on the relationship of the law/gospel distinction to preaching, pastoral care, missions, ethics, and the Christian life. Essayists include Mark Seifrid, William Cwirla, Peter Brock, Larry Vogel, Mark C. Mattes, Naomichi Masaki, James Arne Nestingen, Stephen Hultgren, John T. Pless, Steven Paulson, Albert Collver III, and Roland F. Ziegler.